We use the word “spackle” a few times in this podcast. We like that word. Rolls off the tongue. MEANWHILE, for the second episode in a row the stars of the show aren’t our regulars. What’s up with that? Is it worth it to get the delightful Turhan Bey back? 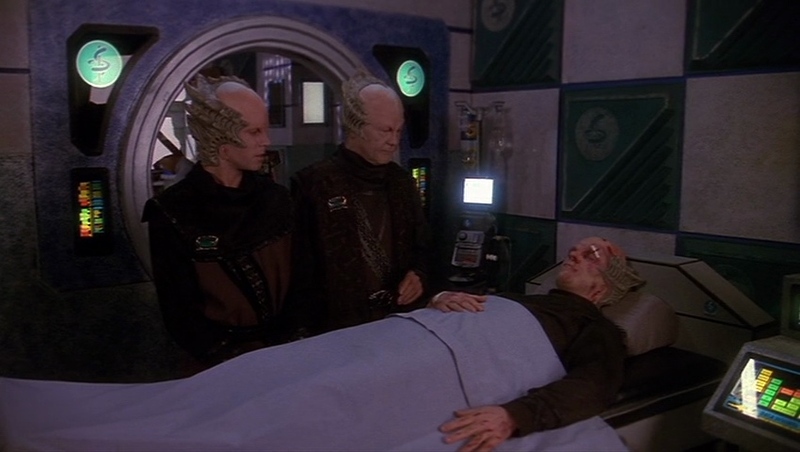 It’s a deep dive into Rangers and Minbari, and an exploration of the ever more fraught partnership between Garibaldi and Lochley in this episode of B5AG! In which we see Ranger trainees as they try to apply what they’ve taken from their lessons to the reality of Babylon 5 and Captain Lochley as she continues to adjust to the realities of her new position. Does the titular learning curve get too steep at times? Talk about this episode and everything that came before here. A second crime boss has been thwarted by security. Will there be a third down the road? We get a closer look at how Ranger training works and the personalities involved. Will we see more of them once Sheridan and Delenn move the ISA headquarters to Minbar? Lochley has been overruled a second time on station matters by an ISA leader. Will there be a third and is she going to start fighting this? Here you can talk about this episode and everything that happens after it.